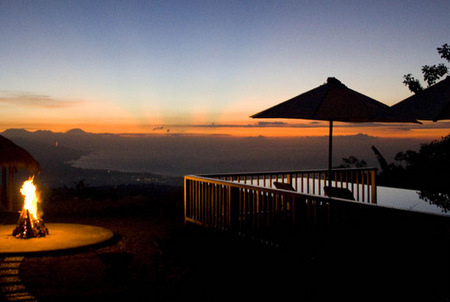 Munduk Moding Coffee Plantation Nature Resort and Spa is a luxury spa and boutique hotel in North Bali on a working coffee plantation located close to Bali's central lakes and Munduk hill station. The hillsides are covered with jungle, coffee trees, rice fields, and pretty much anything else that grows on the island. With just a handful of villas and suites on some 5 hectares of land you can enjoy privacy and relaxation far away from the crowds. 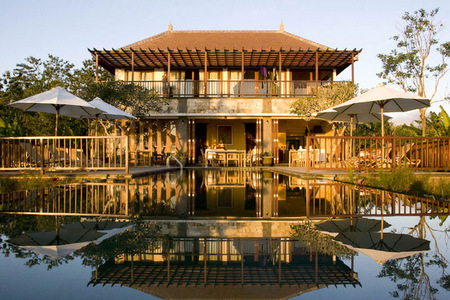 Munduk Moding Plantation is a mountain resort.Enjoy spectacular sunsets and stunning panoramas of the rice fields and coast line in the distance. 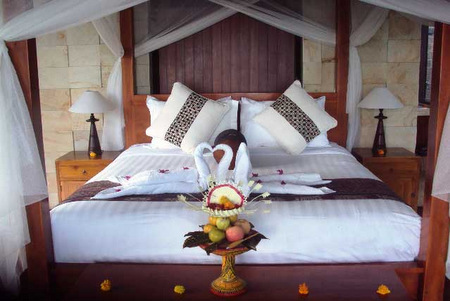 The local people of Munduk and Gobleg villages are involved in caring for the guests. 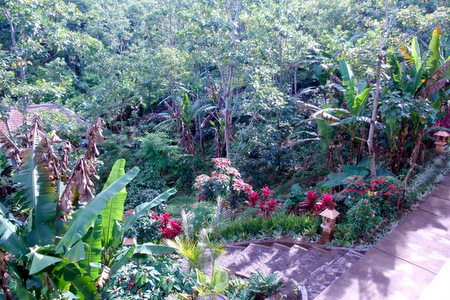 The plantation not only provides employment, but helps them maintain the tropical rainforest and preserve water. 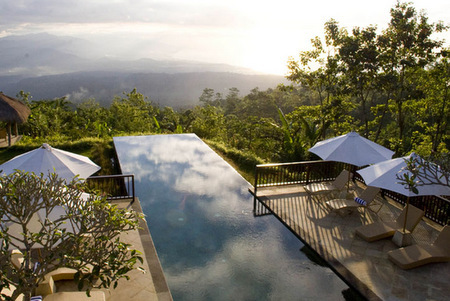 Set back from the villas the spa is surrounded by coffee trees and the jungle. 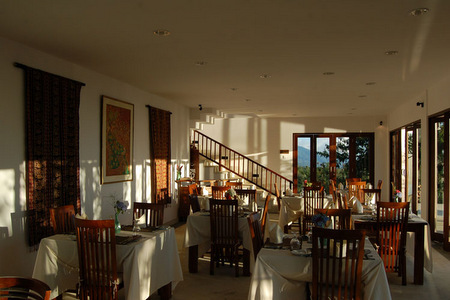 The therapists will pamper you, unwinding body and soul, with the heady scent of flowers and spices. The sound of water is everywhere as it trickles down a rock clad wall. 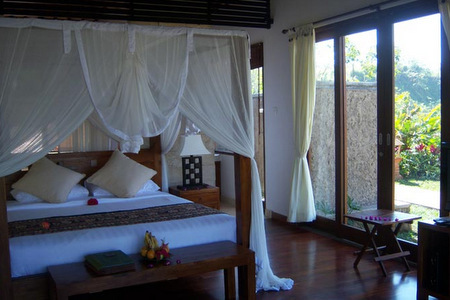 Munduk Moding Plantation offers affordable luxury accommodation in North Bali, All the private villas and public spaces are hidden away between the lush vegetation. 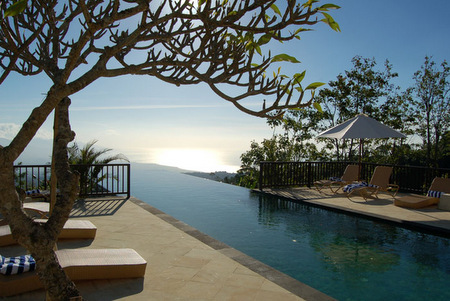 Enjoy 18 metre infinity pool with a panoramic view of the rolling hills, Bali's central mountains and the Java sea. 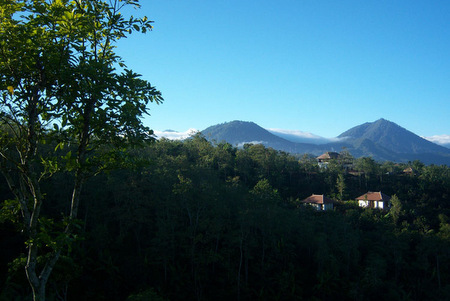 On a clear day you have a view of more than 50 kilometres onto Java. You can take in the same view from the jacuzzi-deck. 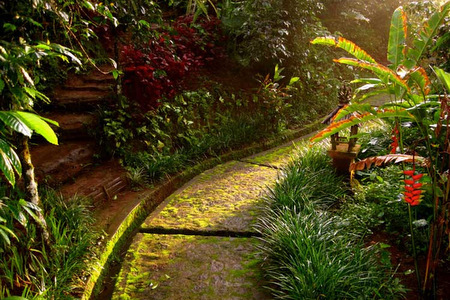 Munduk Moding Plantation is a coffee plantation, but also grows a wide variety of tropical fruits, vegetables and flowers. There is also a forest area, with bamboo growth and lotus ponds. You will be given a detailed map allowing you to explore on your own. You can enjoy a book from the library in one of the Bale Bengongs spread out over the plantation.